Greetings, CelloFamily! I thought that it might be cool to make a little video card with pictures of the amazing cellists, friends of the blog, and rowdy band of supporters that have made these past 4 years so fantastic. 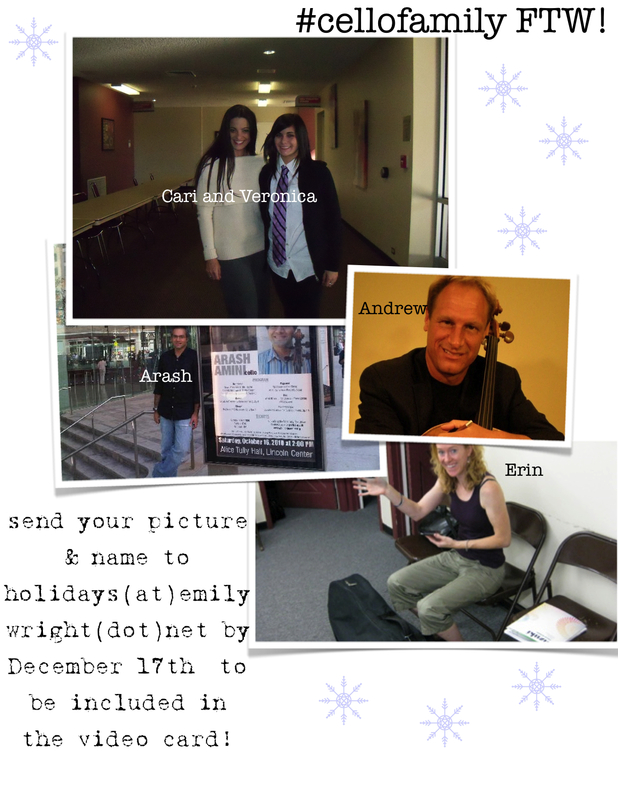 I’d like to have it up by the 20th of December, so please send your pictures to holidays (at) emilywright (dot) net by December 17th. NextCellomas Mania and Teaching Tour Fandango! This is so cool … will do soon!